fruit of one tree. 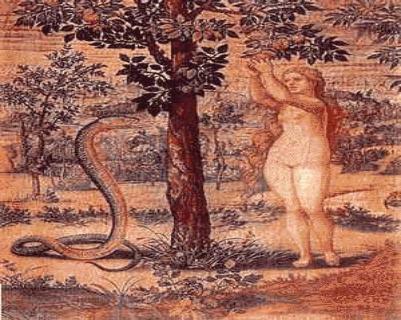 Eve meets a serpent, and it convinces her to eat this fruit. corresponding English words which would have best fit their assumptions. elements to this story that were left out? which was so dramatic that it's almost not fathomable. angel; one who previously fell from grace. 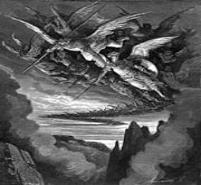 He saith, And let all the angels of God worship him. as further being made submissive to Adam. more about this in 'Birds' and 'Beasts'). form, Satan was purely a spiritual angel. He did not fall in the same way. above, a deal seemed to be in the works. 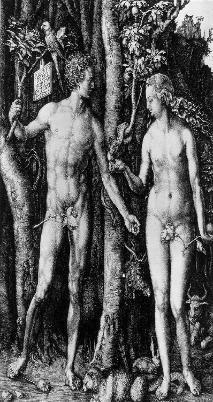 And why would this particular angel - the Serpent - want to help Satan? luscious "fruits" in the garden: Eve herself. of the Serpent to his advantage. have been made red or embarrassed throughout their sexual conversation. of ancient evidence which supports this. just an ordinary overseer of an earthly garden. victory. 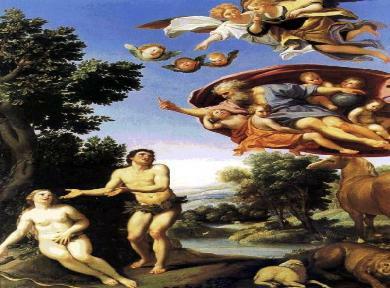 They swooped the entire authority of Adam out from under him. What about these affairs? Could the unthinkable also have happened? point to an offspring coming from this sexual exchange! her punishments revolved around sexuality, childbirth, and motherhood. 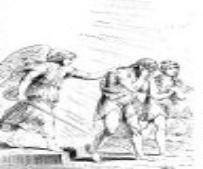 in the upcoming book The Rise of Mystery Babylon, as well. The Chronicles of Jerahmeel (The Hebrew Bible Historiale), 22:1, trans. M. Gaster, Ph. D.
(London: The Royal Asiatic Society, 1899), 46.
trans. Sir E. A. Wallis Budge (London: The Religious Tract Society, 1927), 61. 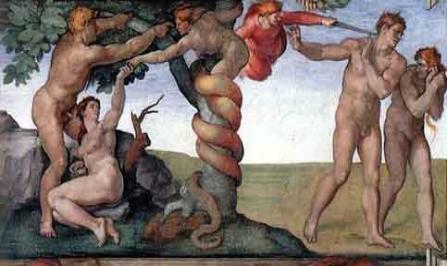 The Book of the Generations of Adam, 1:3, 3:1, http://www.earth-history. com/Pseudepigrapha/generations-adam.htm (accessed May 5, 2007). Harvard University Press, 1998), 110. (Leiden: E. J. Brill, 1996), 31. Bentley Layton, The Gnostic Scriptures, “Other “ Gnostic Teachings According to St.
York: Doubleday & Company, 1964), 85. 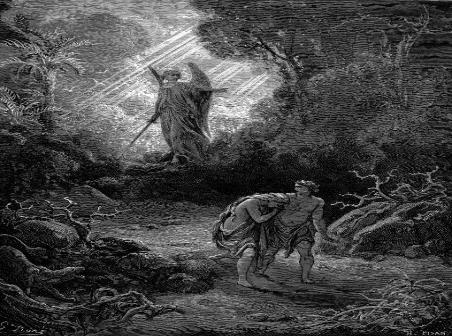 The Apocalypse of Abraham, 23:11-12, translator unknown, http://www.pseudepigrapha. Azazel and Atonement (No. 214), 32, http://www.adamqadmon.com/nephilim/huie003. html (accessed Dec. 5, 2000).